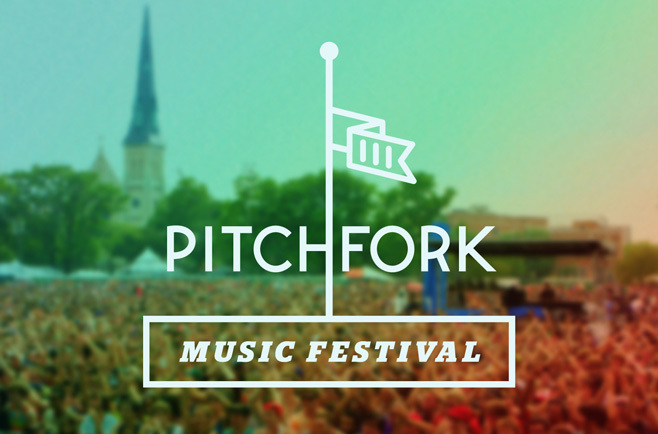 The first music festival that I ever attended was the Pitchfork Music Festival back in 2011, so it’s a festival that will always be pretty special to me. It’s smaller than other festivals that I’ve been to since then, but the high energy and friendly crowd have me excited for another year in Union Park in the great city of Chicago. This is just a taste of what I’m most excited for. Hopefully it will help those that are still on the fence about going, make those that are going even more excited, and to make those who are not going extremely jealous. Mac DeMarco is easily my favorite new artist from last year. His easy-going brand of jangle-rock is as infectious as his goofy, laid-back persona which combine to make his live sets both funny and bursting with energy. Especially notable is the cover break that the band puts into the middle of “Rock and Roll Night Club”, including a cover of Dave Brubeck’s “Take Five” among others. Mikal Cronin’s new album, MCII, is a great summer album with lots of energy. Though I’ve never seen him live, I’m excited to see how well his style of fuzzed-out power pop translates to a live setting. Harp-player Joanna Newsom has been one of my favorite folk artists ever since I first picked up Milk-Eyed Mender. Characterized by her shrill, high-pitched voice and her dreamy, poetic lyrics, Newsom spins vivid tales with her harp that are very easy to listen to. Say what you want about Bjork’s vast library of music, I’ve never had much interest in the majority of her catalog, but there’s no denying that her live shows are anything short of electric. She has a commanding stage presence and an incredible voice which make her live shows something to behold. Punk group White Lung’s new album sorry is 19 minutes of raw punk rock. They play fast, loud and with ferocity. It’s impossible for me to believe that their live show will be anything other than awesome. Savages are a dark gothic-sounding post-punk band that know how to write a good hook. I’ve heard that their live show is something that no one should miss. The brutal sludge-punk that Metz manages to conjure up is undeniably electrifying. And because their festival slot overlaps with both Savages and Swans, it makes choosing between them quite difficult. Swans’ monolithic sound and slow-burning post-rock arrangements must create a live experience like no other. I’m expecting their sound to be massive on stage so the audience can revel in Swans’ apocalyptic dissonance. Low is quiet, reserved and sweet. Their new album The Invisible Way sounds like mellow ride down a country road which may be nice after seeing loud, aggressive bands like Metz and Swans before them. Belle & Sebastian is one of my favorite bands of all time. Albums like If You’re Feeling Sinister, Tigermilk, and The Boy With The Arab Strap have all been extremely influential to me. If you haven’t listened to them before, you should. Their twee folk sound is extraordinarily pleasant and even their fastest songs are mellow. I’m ecstatic to see them live. Foxygen is a fun band that is heavily influenced by the sounds of the 60’s. They can write a nice pop tune so I’m excited to see what they can do live. This will be a really nice preview of how they function in a festival setting, and perhaps can give us a notion of what to expect at Pygmalion 2013 as well. El-P is a rapper that I don’t know much about, but he has been recommended to me by a couple friends so I’m giving in to peer pressure and am going to see what he has in store. Classic indie-rockers Yo La Tengo are a band that I’ve really always wanted to see live. They released classics, like I Can Hear The Heart Beating As One, but their new album, Fade, is undeniably pleasant. They’re a cool band that I’m really excited to see. I know that Lil B is The Based God and that his concerts are nuts. That’s about all I need to know. TYBG (Thank You Based God). I’ve listened to Toro Y Moi enough to know who he is, but I haven’t gotten all the way through any of his albums yet. He seems to have a bizarre rap following including but not limited to Tyler, the Creator and Chance the Rapper. I hope that is live set can inspire me to give it another go. R&B Soul singer R. Kelly will have a big crowd, sure. But all we all want to see is “Ignition (Remix)”.